In other Destiny news, Bungie has given us a taste of Destiny 2 gameplay. More info on the new game can be found here and here. The sequel’s expansion schedule has reportedly leaked by a GameStop employee. Destiny update 2.6.0.2 is live, addressing the Trials of Osiris match issues. 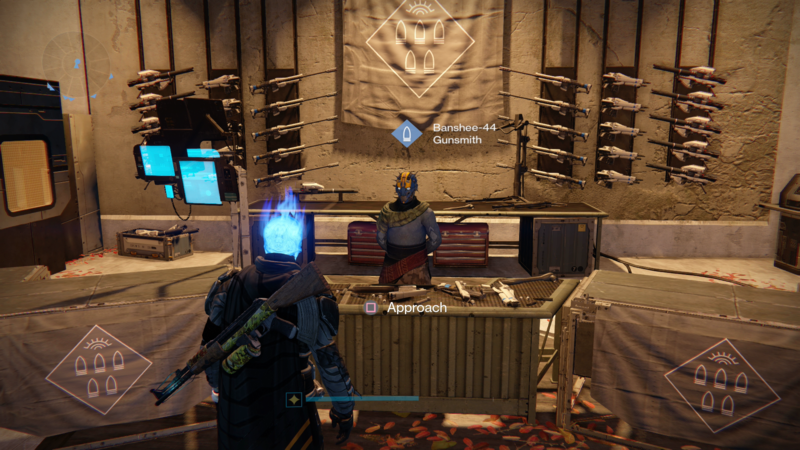 What are you picking up from the Gunsmith this week? Has he finally got what you were searching for? Or have you chosen another package to try your luck again next week?